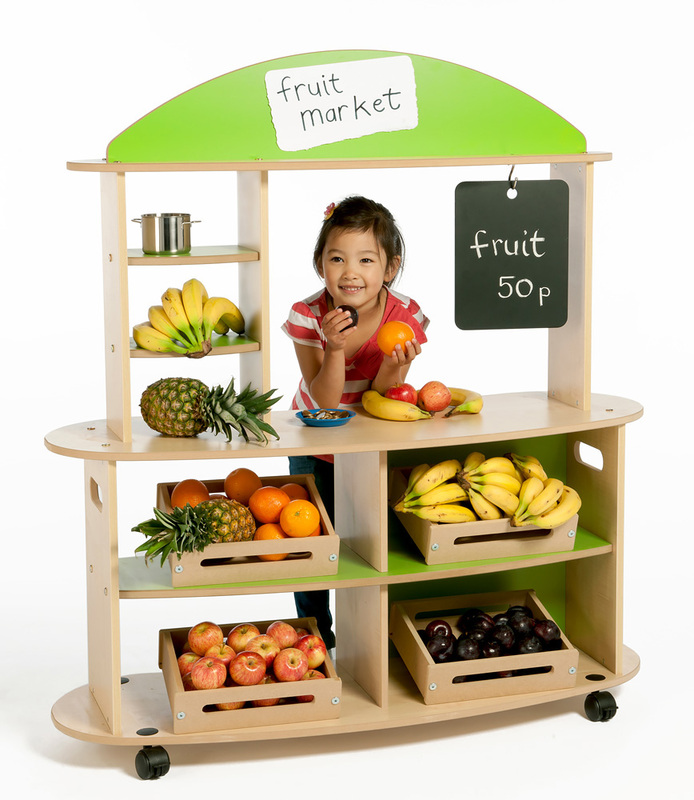 This wooden mobile market stall is a solid and spacious role play market. It includes multiple shelves, a large counter top, double sided chalk board and 4 storage crates. It features 4 durable locking castors which allow the unit to be moved easily for storage and transport, and locks securely into place during play time. Manufactured in the UK using a head wearing maple melamine board with all edges sealed with a child-friendly water-based lacquer. This versatile piece of home corner furniture can also be used for many other group role play scenarios such as shops, theatres, banks and many more. Please note: The mobile market does not include any of the toys or fruit as featured in the product images. For more information please Contact Us or call us on 01733 511121.